Quite an intense line of thunderstorms developed along a potent cold front Monday evening and our early March Monday felt and looked more like a May severe weather event. The high temperatures in Rochester was 63, just four degrees from a record for the date, but the rainfall total did end up a record for Monday with 0.92 inches at the airport. Parts of the downtown and surrounding locations in Olmstead County had quite a bit more. The rainfall summary from the National Weather Service in La Crosse is below. In addition to the rainfall and temperatures there was a Wind Advisory as gusts were consistently in the 35 to 45 mile per hour range. Within the storms themselves gusts were measured at 50 to 55 miles per hour and estimates in some of the severe thunderstorm warnings were in the 60+ mile per hour range. Prior to Monday, the earliest known tornado in Minnesota was on March 18, 1968. That record was shattered with a tornado in Sherburne County in the afternoon and then another in Freeborn County in Clarks Grove just after sunset in the 6:00 hour. Below are the National Weather Service’s summary and rainfall totals from the severe weather outbreak. Strong low pressure developing over the Northern Plains brought unseasonably warm air and moisture northward into the region on Monday, March 6th, in advance of a strong cold front developing to the west. Ahead of that front, temperatures warmed through the 50s and 60s in many areas, with even some 70s noted over western portions of Minnesota and Iowa. As that front arrived, it brought with it a line of showers and thunderstorms, some of which were severe with damaging winds of 60 to 70 mph along with hail and frequent lightning. 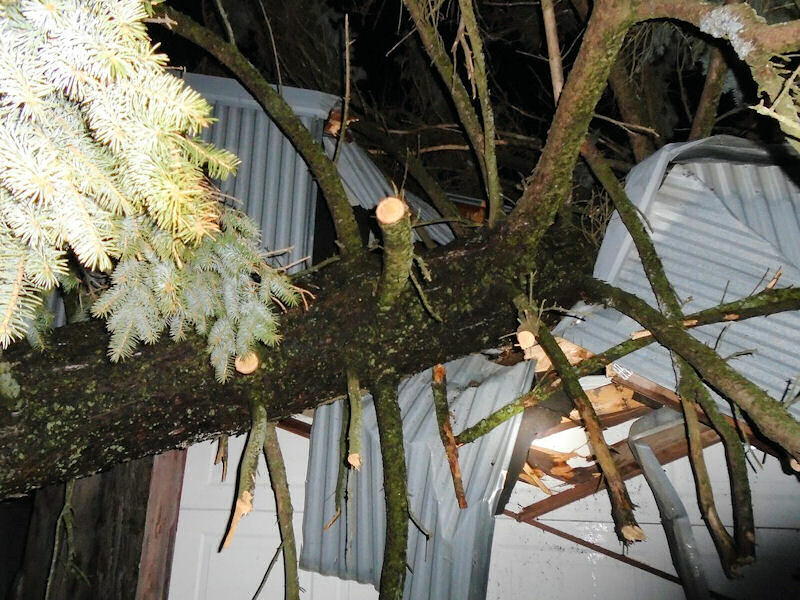 Numerous reports of damage were received across the area. Radar loop of severe thunderstorms as they crossed the area Monday evening. 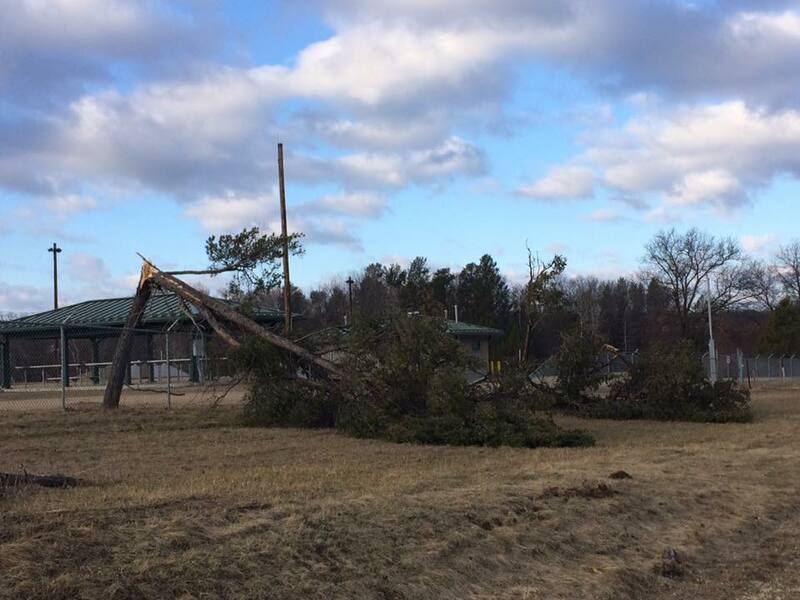 Tree damage down near Ft McCoy east of Sparta, WI on Highway 16. 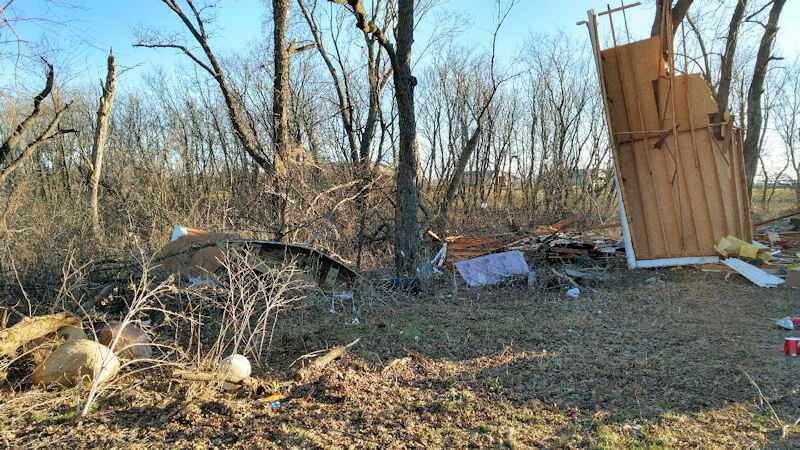 On March 06, 2017, an early spring severe weather outbreak produced large hail and damaging wind in Wisconsin, and even tornadoes across Minnesota. 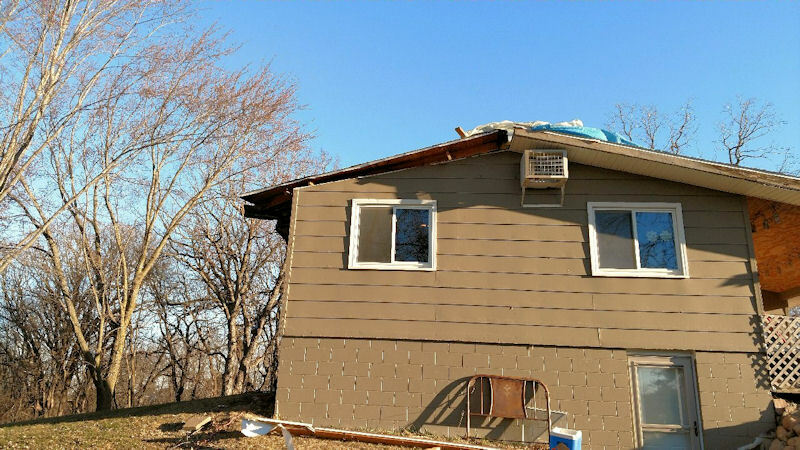 This marks the earliest date in Minnesota history that a tornado was ever recorded. The previous record was March 18, 1968. The loop to the right shows a comparison of visible and infrared satellite imagery from the GOES16 satellite, along with radar reflectivity, lightning, and warnings at 5:00 PM March 06, 2017. The line of thunderstorms was located across Central Minnesota and extends southward into Iowa. 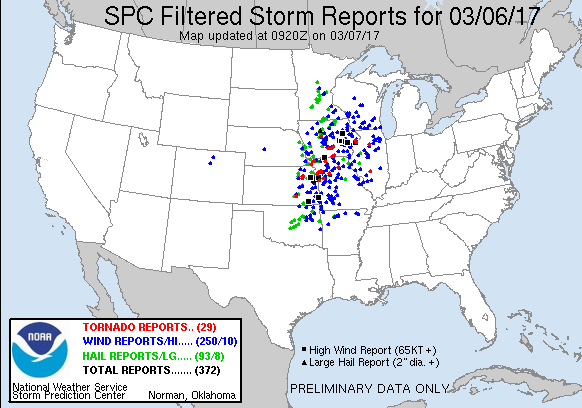 The image to the right shows severe weather that was reported on Monday March 06, 2017. 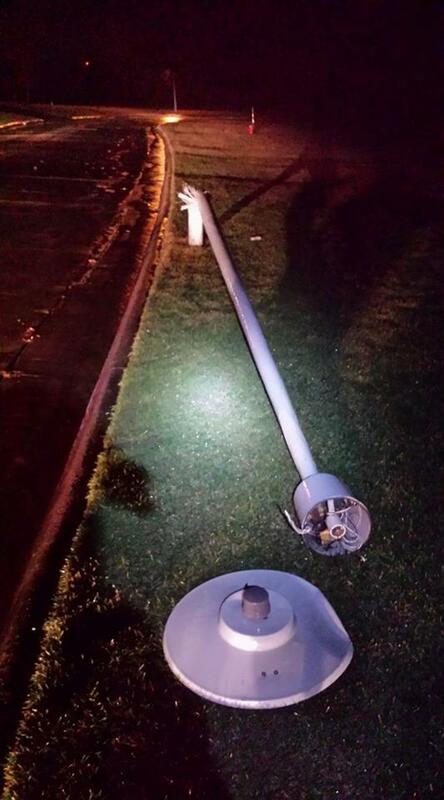 Several hundred reports of severe weather were observed across the central United States. 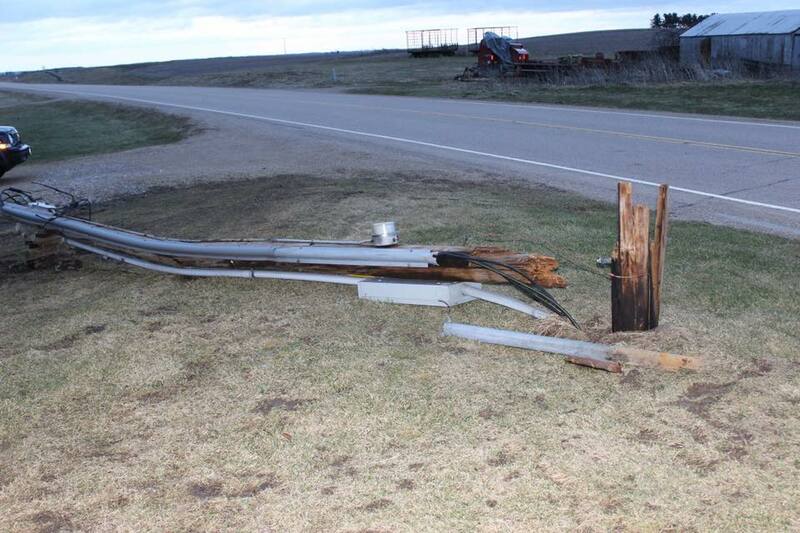 Minnesota and Wisconsin had mostly damaging wind along with some large hail. See the full list of storm reports here. 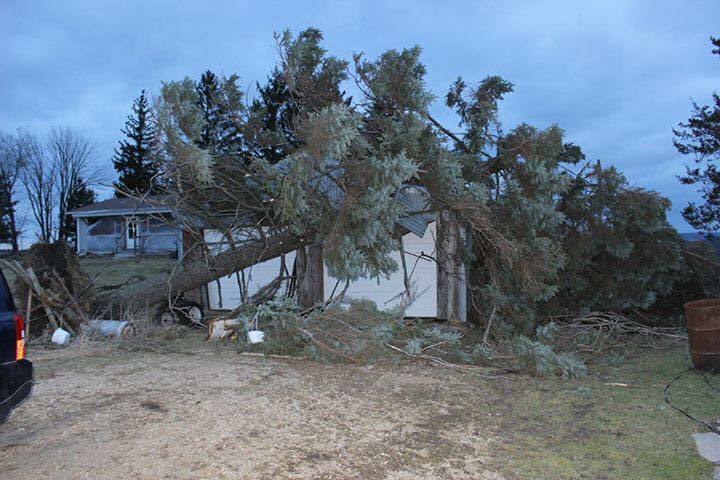 There was building damage and uprooted trees near Clarks Grove MN in Freeborn county in southern Minnesota. Meanwhile in Sherburne county there were large trees and power lines down. 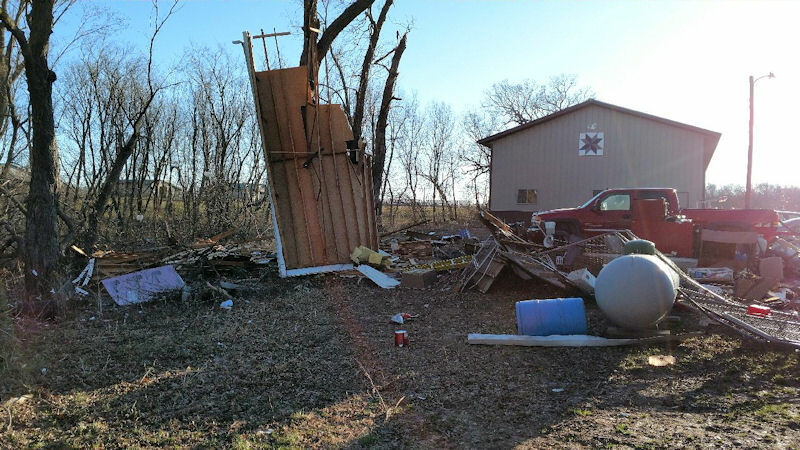 Most of this damage occurred between 5:00 PM and 7:00 PM on Monday, March 06, 2017. POWER OUT IN PARTS OF KASSON. ROOFS DAMAGED. TIME ESTIMATED BY RADAR. 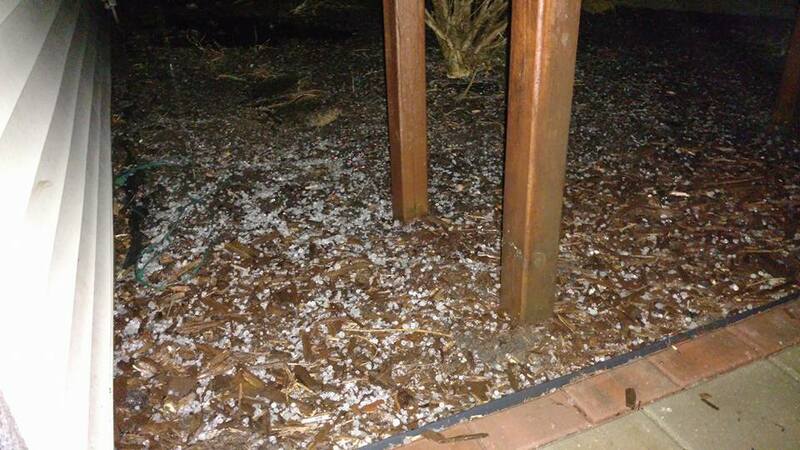 PEA SIZED HAIL IN NORTHWEST ROCHESTER. 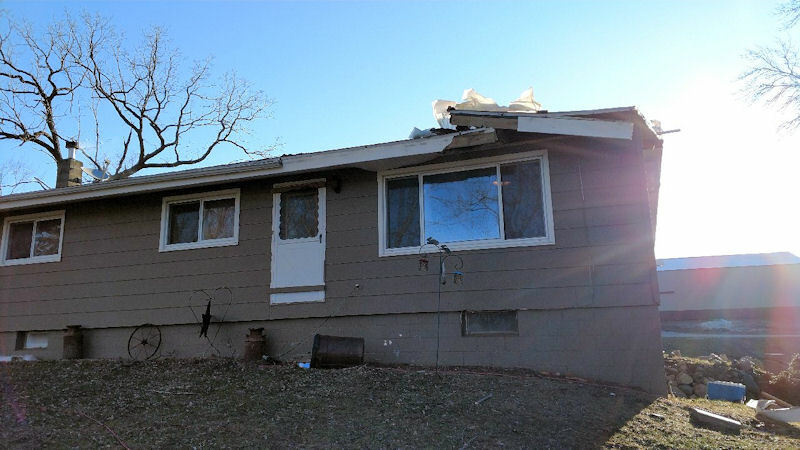 REPORTED AT 11144 CR 5 NW, PINE ISLAND, MN. CORNER VIA EAVES. DOWNED PINE TREE. .
POWER LINES DOWN IN MANY AREAS OF COUNTY. DAMAGED AND A COUPLE OF TREES BLOWN DOWN. HWY 37. TIME ESTIMATED FROM RADAR. .
TORRENTIAL RAINS, 30 TO 40 MPH WIND. STRONG WINDS AND TORENTIAL RAIN. ON A HOUSE. REPORT VIA FACEBOOK. FROM RADAR. REPORT VIA TWITTER. WIND GUST TO 29 MPH. OUTBUILDINGS DESTROYED WITH OTHERS DAMAGED. ESTIMATED FROM RADAR. REPORT VIA TWITTER. POWER LINES DOWN EAST OF STODDARD. POWER LINES/OUTAGES REPORTED IN CHASEBURG. . CO-OP OBSERVER STATION 4 NNE ELBA /BVRM5R2/. AND MYRICK PARK. TIME APPROXIMATE. UP TO 3/8 INCH IN DIAMETER. ALONG HIGHWAY 56. TIME/LOCATION ESTIMATED. .
COCORAHS STATION ELBA 4.7 SW /MN-OL-991/. MESONET STATION 4 WSW ROCHESTER /SFZM5/. MESONET STATION AUSTIN 3S /ASNM5/. DOWN. TIME ESTIMATED FROM RADAR. NEAR VIROQUA WITH SEVERAL POWER LINES DOWN. TIME ESTIMATED FROM RADAR. . ESTIMATED 50 TO 60 MPH WIND GUST. ASOS STATION VOLK FIELD /VOK/. MESONET STATION 2 SE DOUGLAS /D7310/. 2 TO 3 INCH DIAMETER TREE LIMBS DOWN. CO-OP OBSERVER STATION ELBA /EBWM5/. CO-OP OBSERVER STATION IONIA 2W /IONI4/. JUNEAU COUNTY. TIME ESTIMATED FROM RADAR. .
ASOS STATION BOSCOBEL AIRPORT /OVS/. MESONET STATION 3 ESE DOUGLAS /AU624/. 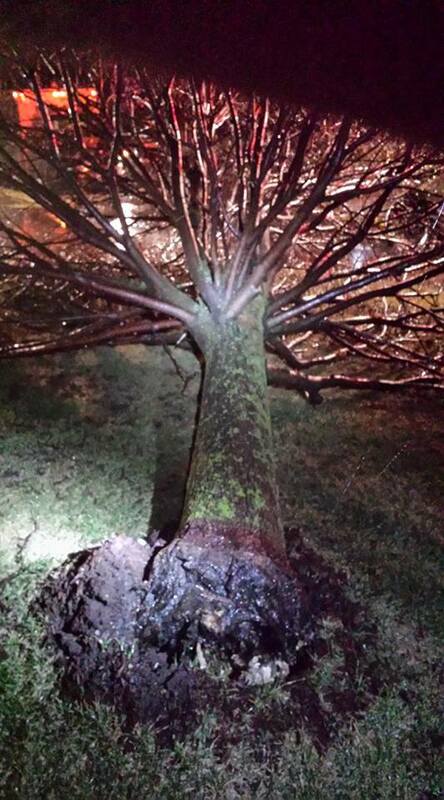 TREES AND POWER LINES DOWN IN HILLSBORO. MESONET STATION 3 NE ROCHESTER /E4643/. MESONET STATION SAINT ANSGAR /C1238/. ESTIMATED 50 TO 55 MPH GUST. CO-OP OBSERVER STATION ORONOCO /OCOM5/. AWOS STATION MAYO HELIPAD /9MN/. AWOS STATION CHARLES CITY AIRPORT /CCY/. CO-OP OBSERVER STATION ALMA DAM 4 /ALMW3/. CO-OP OBSERVER STATION GENOA DAM 8 /GENW3/. COCORAHS STATION 2 NE ROCHESTER /MN-OL-18/. CO-OP OBSERVER STATION GRAND MEADOW /GMDM5/. CO-OP OBSERVER STATION ST ANSGAR /SANI4/. CO-OP OBSERVER STATION LA FARGE /LAFW3/. COCORAHS STATION NEW HAMPTON /IA-CW-3/. CO-OP OBSERVER STATION VIROQUA /VQAW3/. COCORAHS STATION 1 ENE ALPHA /IA-FY-3/. CO-OP OBSERVER STATION WABASHA /WABM5/. CO-OP OBSERVER STATION DE SOTO 1SE /VICW3/. CO-OP OBSERVER STATION CHARLES CITY /CIYI4/. CO-OP OBSERVER STATION ELGIN 2SSW /EGNM5/. COCORAHS STATION 2 NNW ROCHESTER /MN-OL-32/. COCORAHS STATION NEW HAMPTON /IA-CW-2/. COCORAHS STATION VIROQUA 0.8 ESE /WI-VR-2/. CO-OP OBSERVER STATION NEW HAMPTON /NHPI4/. CO-OP OBSERVER STATION WESTBY 3ENE /WESW3/. CO-OP OBSERVER STATION FAYETTE /FYTI4/. COCORAHS STATION 3 WNW VIOLA /WI-VR-3/. MESONET STATION 3 N ROCHESTER /RCHM5/. CO-OP OBSERVER STATION ELGIN 5SE /WFOM5/. MESONET STATION 2 ENE ROCHESTER /ROCM5/. CO-OP OBSERVER STATION ROCHESTER 3W /RCRM5/. CO-OP OBSERVER STATION EYOTA 2NE /WIRM5/. COCORAHS STATION 7 ENE DECORAH /IA-WH-1/. MESONET STATION 4 ESE DOUGLAS /AU801/. 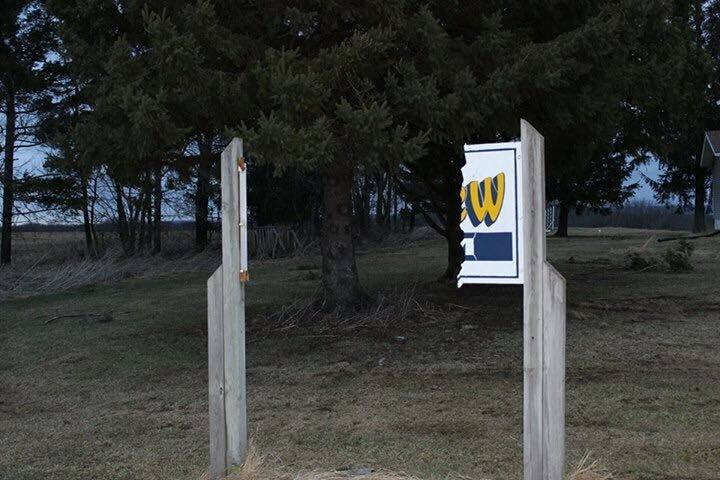 CO-OP OBSERVER STATION ONTARIO /ONTW3/. MESONET STATION LAKE CITY /D8097/. MESONET STATION 2 E CATARACT /AR731/. MESONET STATION 3 NW AVOCA /E8443/. MESONET STATION 3 SW HAMMOND /E7548/. LARGE PINE TREES SNAPPED OFF BY HIGH WINDS. MESONET STATION 2 NE ROCHESTER /E0729/.